A wide repertoire of small molecule PET radiopharmaceuticals has been successfully developed over the last 30–40 years. Both the acceleration of the discovery of novel targets and advances in our understanding of pathophysiological mechanisms have created a rapidly increasing demand for new radiotracers. 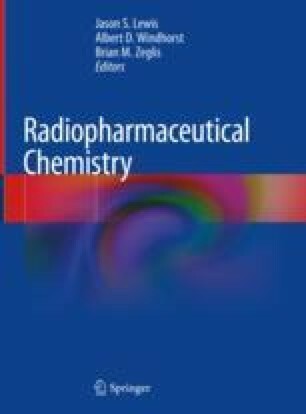 Alongside the traditional academic pursuit of new radiotracers, the resources of the pharmaceutical industry have been increasingly engaged in creating novel radiotracers for the development of new therapeutics and companion diagnostics. Over the years, rational approaches to the development of radiopharmaceuticals have evolved. This chapter will describe some ‘tried and tested’ approaches that have been used to select, design, and evaluate successful PET radiotracers. The chapter is divided into two parts: ‘design parameters’ and ‘test criteria’. In the first section, we will cover several critical ‘design parameters’ for the creation of effective small molecule radiopharmaceuticals. More specifically, we will discuss an eclectic set of physicochemical and pharmacological properties, guidelines, tolerances, and ‘rules of thumb’ that—when considered together—can assist in the identification of molecules that are more likely to produce successful radiotracers. In the second section, we describe a set of quantitative metrics for a radiolabeled tracer that can be obtained via a series of in vitro and in vivo experiments to determine a radiotracer’s potential utility.